Mysterious plumes of radioactive iodine-131, the same nuclear isotope seen during the Fukushima disaster, have suddenly started appearing all over Europe. And according to reports, nobody seems to know where they’re coming from — that, or authorities are choosing to deliberately keep the undisclosed source(s) out of public view. Trace amounts of the highly damaging form of radiation, which is known to destroy the thyroid gland, have been found in at least seven European countries, including in Norway, Finland, the Czech Republic, Germany, France, and Spain. Such radiation typically comes from either nuclear energy plants or atomic bombs — and the latter presumably haven’t been set off anywhere recently. According to The Sun, the source of the toxic particles appears to be somewhere in Eastern Europe, despite the majority of them having been identified in countries to the West and North. The only other source from which such particles could be emerging are certain medical devices, though for their spread to be so wide across so many different regions is highly unlikely. Finland’s Radiation Safety Authority (STUK) says it also identified trace amounts of the radioactive isotopes cobalt-60, niobium-95, and cesium-134, all of which are also directly associated with nuclear processes. Investigations into the source of these particles are ongoing, and experts are insistent that the levels are so low that they do not pose a significant health risk to the public. “The preliminary report states it (iodine-131) was first found during the week 2 of January 2017 in northern Norway,” reads a press release issued by the France-based Institute de Radioprotection et de Süreté Nucléaire (IRSN). 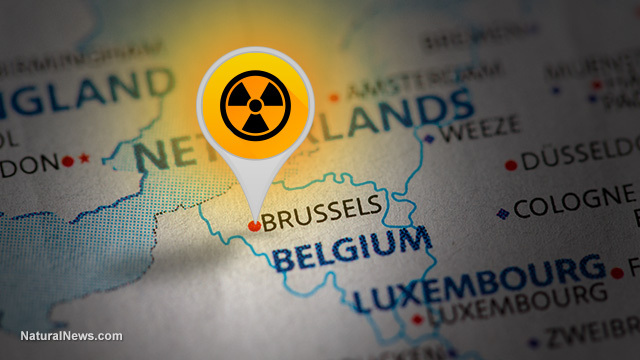 What’s strange about this radioactive presence throughout Europe is that its levels are seemingly so low as to be almost impossibly dispersed. One would think that having the same type of radiation detected in so many places at once would indicate much higher amounts of it, but experts insist that the levels are low enough as to be harmless. The world heard plenty of this same narrative during and after the Fukushima disaster — and it is still the official story today, despite ongoing problems at the stricken plant that continue to harm Japan, the world’s oceans, and possibly even the West Coast of the U.S.— a majority of the world, essentially. According to officials in Finland, the levels of radiation detected there were less than one-millionth of a Becquerel per cubic meter of air — not very much in terms of serious safety concerns. But as many Natural News readers are well aware, any amount of radiation is a health threat, and its source a pertinent area of concern. “We do measure small amounts of radioactivity in air from time to time because we have very sensitive measuring equipment,” the head of Norway’s Radiation Protection Authority, Astrid Liland, told reporters when asked why it took so long to inform the public about the potential looming threat. Ironically, Norway’s radiation levels were higher than in Finland, and yet Finnish nuclear officials were quick to issue a public statement out of precaution. Like Norway and France, however, Finland insists that radiation levels are far lower than what can have “any effect” on human health. There are nuclear plants located in Finland, Sweden, and Russia where the nuclear particles in question could have emerged. Investigators are working to trace where they came from as quickly as possible.